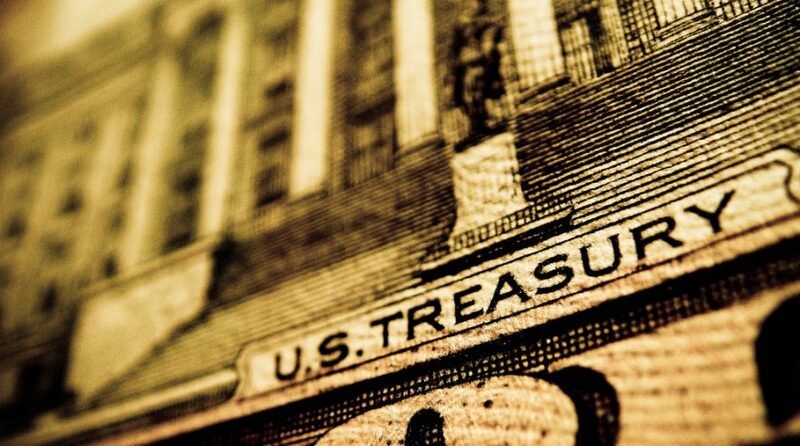 Yields for the U.S. government debt space are now following U.S. equities in the extended bull run with the benchmark 10-year Treasury note yield reaching a seven-year high, scooting past the 3.2% mark before settling to its current level of 3.189 as of 1:30 p.m. ET. On Friday, wage data is expected to be released and if they rise, this could shoot yields past 3.5%, according to Jim Paulsen, chief investment strategist at Leuthold Group. “We probably put wages over 3 percent, then you’re probably looking somewhere between three-and-a-quarter and three-and-a-half” percent on the 10-year yield, said Paulsen. In addition to the 10-year, the benchmark 30-year yield also ticked higher to 3.348 as did shorter duration yields, such as the five-year yield heading higher to 3.048 and the two-year yield rose to 2.88. Helping to boost yields today was positive jobs data as the Labor Department revealed that unemployment claims last week fell to a 49-year low, pointing to sustained strength in the labor market. Claims for unemployment benefits fell to 207,000, besting the forecasted 213,000 by a Reuters poll of economists. The unemployment data came after yesterday’s positive news that private payrolls grew stronger than expected in September with 230,000 positions added. The private payrolls total easily bested the 168,000 jobs added in August–more than the 185,000 expected by a survey of economists and the highest number of payrolls added since the 241,000 added in February. Furthermore, the U.S. services sector grew last month at its fastest pace based on data released by the Institute for Supply Management. The ISM non-manufacturing index ticked up to 61.6, which represents its highest level since 2008, beating out a poll of economists expecting the index to show 58 for the month of September. According to analysts, all this strength in the labor market and the economy in general is beginning to prop up government debt yields, which doesn’t portend to any concerns if tomorrow’s wage data in fact rockets yields past the 3.5% mark.